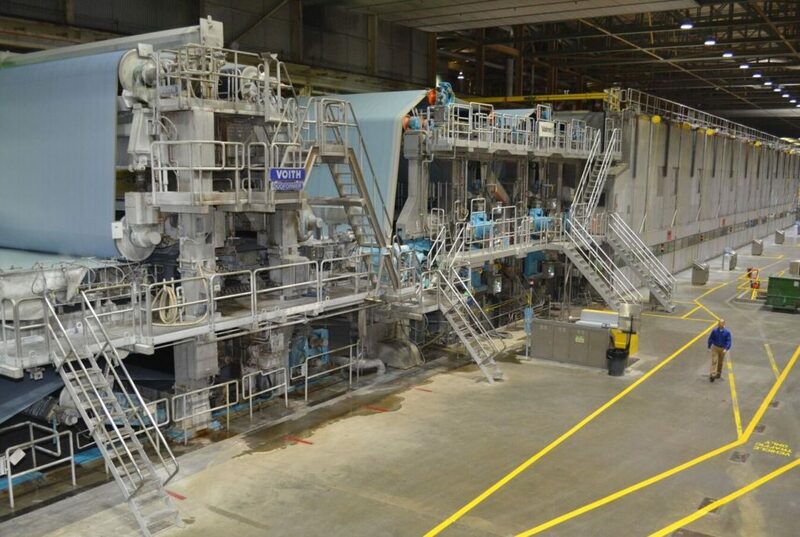 Sappi North America, a Northeast-based manufacturer of paper and packaging products, just completed a year-long rebuild and upgrade of one of their paper machines at their Somerset Mill in Skowhegan, Maine. This upgrade provides a significant improvement to Sappi’s capabilities and services for customers around the globe. This update not only increases Sappi’s Somerset mill to nearly 1 million tons annually, but it also expands the paper grades available, allowing Sappi to provide luxury packaging and folding applications. Sappi promises that the new product lines will provide converters with superior color consistency, printability and downstream performance. Sappi North America has been in operation since 1854. Acquired by Sappi Limited in 1994, they were initially the SD Warren company. Operating as a subsidiary of Sappi, based in South Africa’s Johannesburg, Sappi North America runs out of Boston and operates three mills, employing 2,100 employees and continues a tradition of providing quality paper and packaging products to customers around the world.